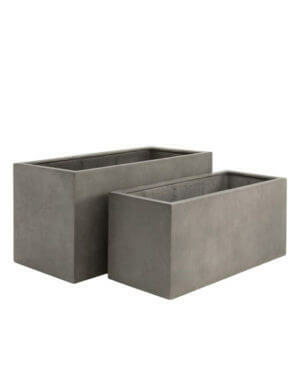 IOTA offers a range of Lightweight Pots and Planters appropriate for commercial and residential projects. These lightweight pots are easy to install and if needed can be moved around, so redesigning is never a problem. 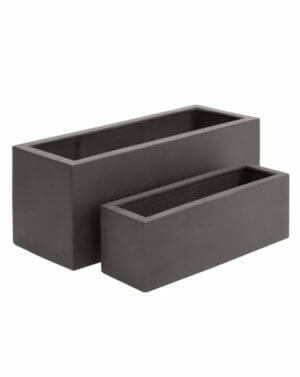 Despite being lightweight, the planters are still very durable and resistant to damage, the high-quality materials and manufacturing processes we use ensure they won’t fade, warp or crack over time and we back this up with a strong warranty. 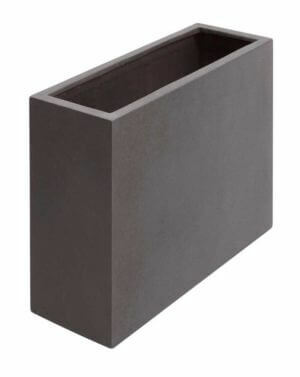 Manhattan planters are made of fibreglass, which are lightweight GRP (glass-reinforced plastic). 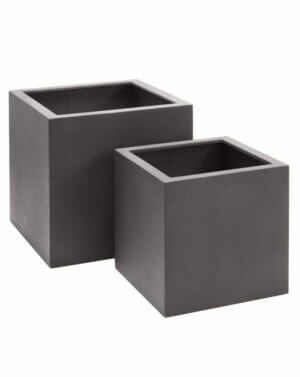 These planters are lightweight and come finished with a stylish matte charcoal-coloured class A industrial UV-resistant polyurethane paint. Manhattan planters are perfect for modern designs and have been reinforced to be able to be able hold large plants and small trees. 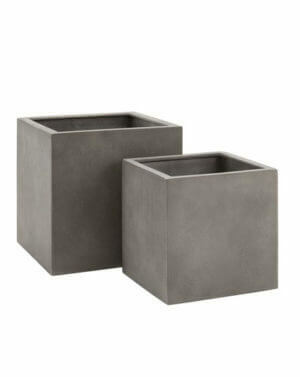 Venice planters are made to portray a “Venetian” plaster look. Made of concrete reinforced with plant fibres, it is lightweight and very durable. The planters can be used both indoors and outdoors. They blend perfectly with contemporary or classic designs. 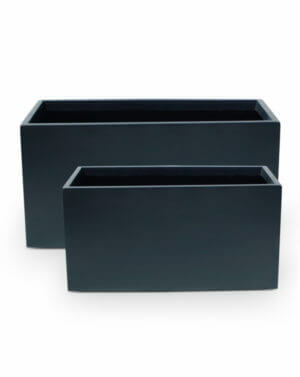 As with all our products, lightweight planters come with a full five-year guarantee.